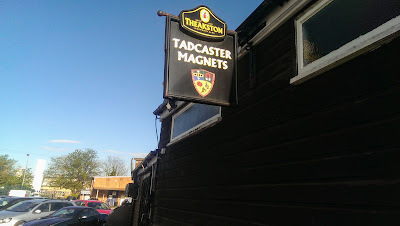 After an enjoyable but none profitable day at Pontefract Races, (I couldn’t tip a bucket of piss! ) I called into Tadcaster on the way back home to tick off another York Football League ground. 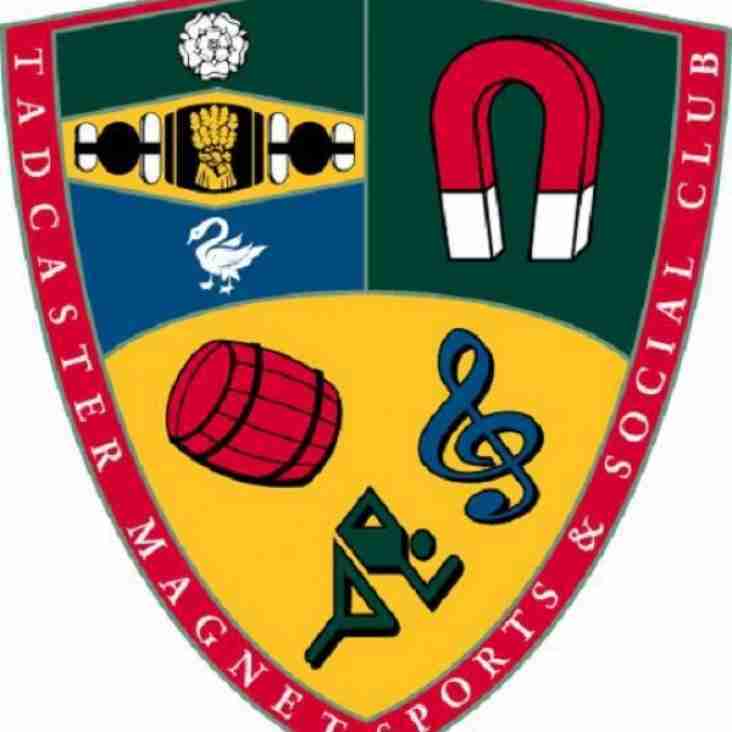 Tadcaster Magnets play at the Magnet Sports & Social Club off Leeds Road, and have played in the York League since the 2010-11 season. 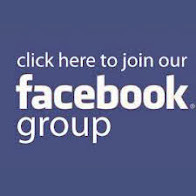 The club won Division 4 in their debut year and have conquered each division to reach the Premier by 2014. 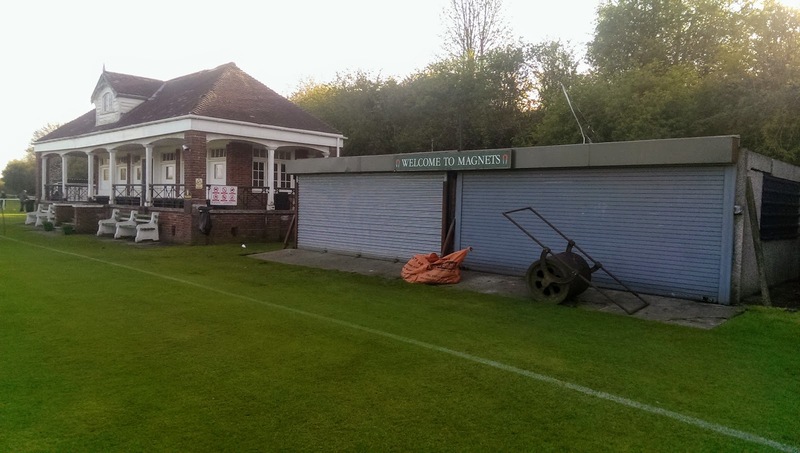 The football ground is found at the far end of the complex past the cricket pitch with the pavillion used for the team dressing rooms. 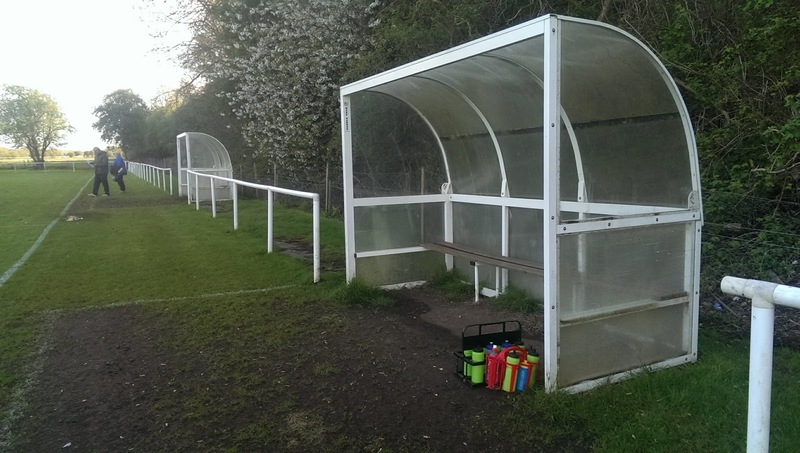 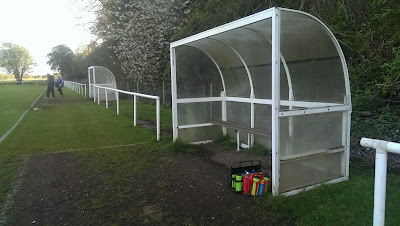 The pitch is fully railed off with a pair of perspex dugouts at one side. 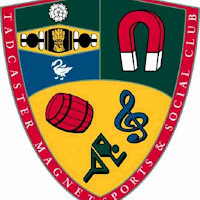 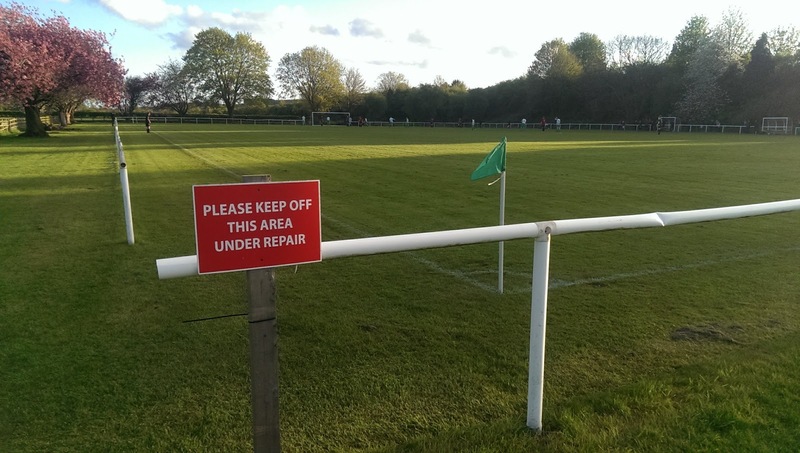 The ground was previously used by Tadcaster Magnet Sports in the West Yorkshire League from the late 90’s to 2009. A goal in each half by Nathan Parker secured the win for Hemingbrough. 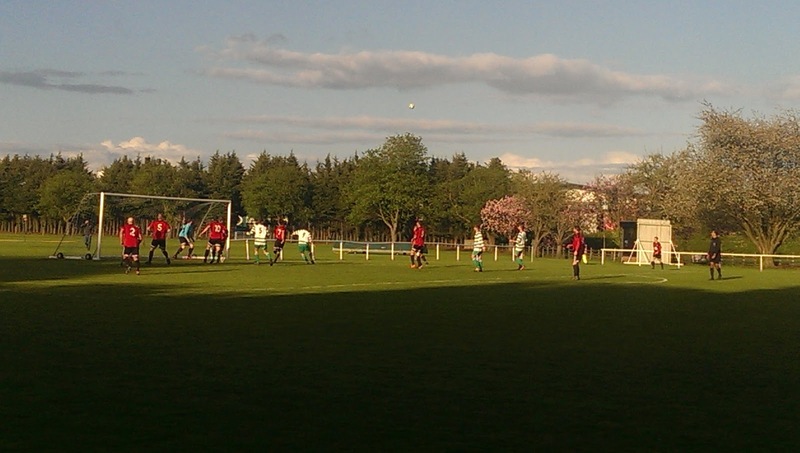 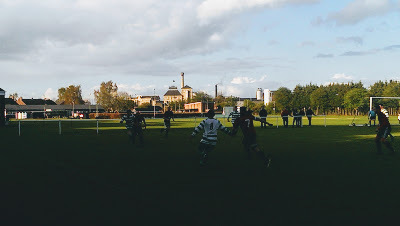 They took an early lead when a mazzy run from Hemingway set up Parker to blast home inches from the goal line, before a superb curling shot from the edge of the box on 63 minutes wrapped it up. 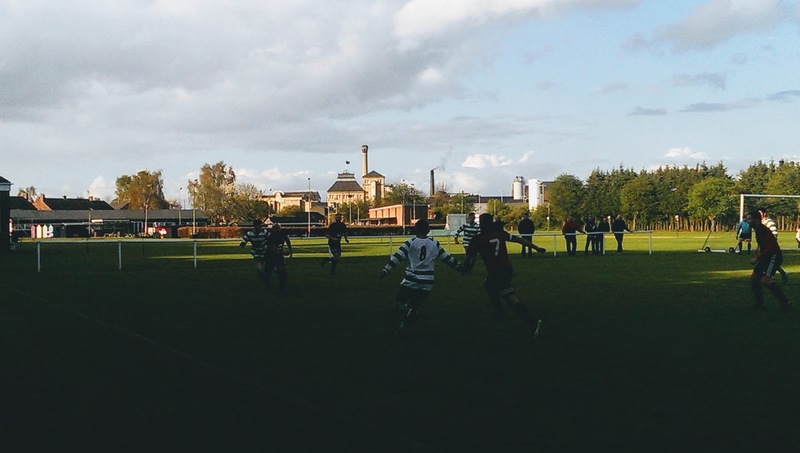 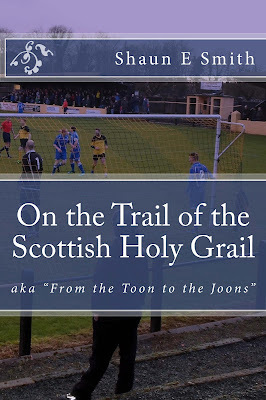 For all their gallant effort the Magnets couldn’t make the breakthrough in front of goal, even after the visitors were reduced to ten men when Craig Rowden was shown a straight red for a stud showing tackle. 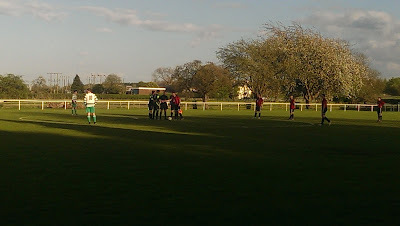 In the end Hemingbrough comfortably seen out the game and deserved to take away the three points.